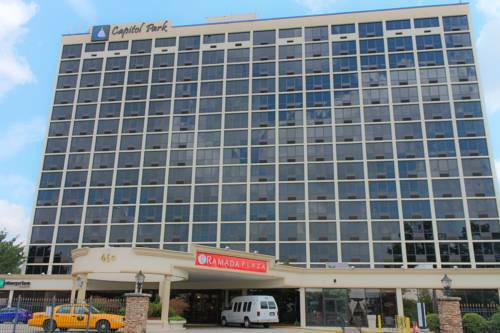 Choose the full-service Ramada Plaza Atlanta Downtown Capitol Park for business and leisure travel in Atlanta, Georgia. Enjoy complimentary wireless Internet access, 24-hour business center, fitness center, rooftop pool, guest laundry facility, onsite restaurant and lounge. Spacious guest accommodations feature desk, iron, ironing board, coffee maker and flat screen HDTV with movies on demand. This facility is just two blocks from Turner Field, home of the Atlanta Braves. MARTA rail and bus transit is easily met nearby, and the complimentary local shuttle can be utilized daily. This is a non-smoking establishment.